BOARD OF DIRECTORS - Minority Enterprise Development Corp. The Minority Enterprise Development Corp.’s volunteer Board of Directors is made up of recognized leaders across many business categories. They represent the broad experiences of our membership and contribute significant amounts of time, talent, and energy to further the mission of the organization. We are privileged to have the support, expertise, and connections offered by our outstanding Board of Directors. Brian Butler is the President and CEO of Vistra Communications. A retired and decorated career military officer, Brian has provided Public Relations, Strategic Communications, Marketing and Management Consulting services to senior leaders and their organizations for nearly three decades. Prior to founding Vistra, Brian provided Strategic Communications counsel to senior leaders at U.S. Central Command in Tampa, FL. He also served in a director-level policy position on the Homeland Security Council (HSC) in the White House. As an experienced leader and communications professional, Brian worked in the Washington, DC office of Fleishman-Hillard International Communications and a niche market Washington D.C. based strategic communications firm. While in uniform, he served as Spokesperson and Chief of Communications for an Army Secretary and on the personal staff and communications team for the Chairman of the Joint Chiefs of Staff. Brian has grown Vistra to more than 70 employees with a growing client portfolio which includes clients in healthcare, information technology, transportation and airports, sports and entertainment, local and federal government, and nonprofit industries. As Executive Director of Minority Enterprise Development Corporation’s Board of Directors, Lynette facilitates all activities and events with both the Board and the Planning Committee. Lynette serves as the Coordinator of Supplier and Vendor Development in the Supplier Diversity Department for TECO Energy. 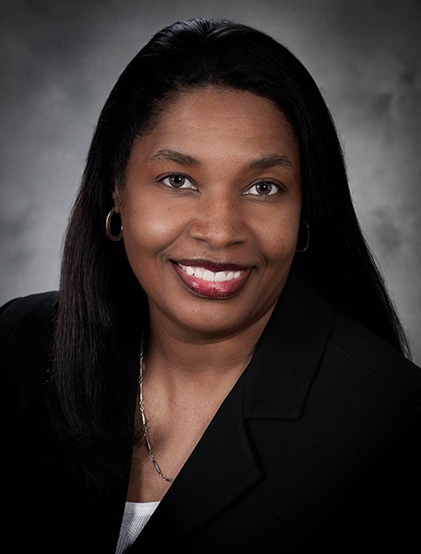 During her nearly 25-year tenure, Lynette has held various positions within the Procurement Department and currently, works closely with the numerous Procurement Departments to help oversee the company-wide initiatives supporting TECO Energy’s Supplier Diversity goals of increasing business with diverse businesses. Lynette is extremely passionate about both helping minority businesses flourish and contributing to a community’s ongoing development. She is also a devoted mother and grandmother and believes that no matter what you do, do it to make a difference and always keep God first. With more than 10 years’ experience in business development, marketing and consulting in her role as Certification & Corporate Services Manager, Johanna brings vitality, professionalism and warmth to the Minority Enterprise Development Corporation team. 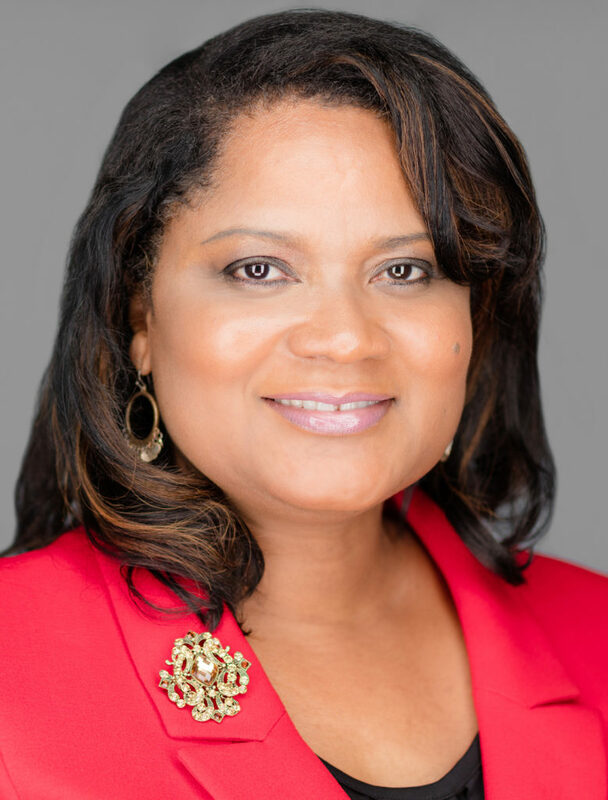 Her experience with service and advocacy while working in the Florida State Minority Supplier Development Council (FSMSDC), makes her a valuable ally to business owners and corporations alike. Her primary focus is to build awareness in supplier diversity, increase procurement and develop strategies for entrepreneurs. As an advocate of the FSMSDC’s vision to connect minority-owned businesses enterprises with Corporate America, Johanna finds the results of her efforts rewarding and fulfilling. Johanna is a driven executive with proven ability to build collaborative partnerships with a diverse network of stakeholders across the country and within communities. Serving on several small business-focused boards, Johanna’s expertise and achievements have been acknowledged by resource partners throughout Central Florida. In 2015, Johanna was recognized as one of Orlando’s Top 25 Influential Hispanics in Central Florida by the Hispanic Chamber of Commerce of Metro Orlando (HCCMO). Ms. Hanson actively represents Moffitt Cancer Center in the business community though leadership roles in minority & women-owned business associations and organizations. She currently serves as a board member on the Board of Directors for the Florida State Minority Supplier Development Council (FSMSDC), Minority Enterprise Development Corporation (MEDC) Board, and previously served as President of the West Coast Chapter of the Florida State Minority Supplier Development Council (FSMSDC). Ms. Hanson has also conducted Supplier Diversity Webinars and is a frequent speaker and moderator on Supplier Diversity related issues for local and national organizations. Ms. Hanson has received numerous Supplier Diversity advocacy awards for her leadership, outreach and mentoring of diverse suppliers. In addition, under her leadership, the Supplier Diversity program at Moffitt Cancer Center has received both local and national recognition including numerous Supplier Diversity Awards and recognitions for its Advocacy and Corporate Leadership from the Florida State Minority Supplier Development Council (FSMSDC), Florida Minority Business Opportunity Center (MBOC), Central and North Florida Minority Supplier Development Council (CNFMSDC), Tampa Bay MedWeek, Tampa Organization of Black Affairs (TOBA), Diversity Inc. and Premier, Inc. Prior to joining Moffitt Cancer Center in March of 2009, Ms. Hanson served as the Supplier Diversity Manager for the University of South Florida and Fulton County Government, in Atlanta, Georgia as a Cable Franchise Manager administering cable television/telecommunication franchise agreements for the county. Ms. Hanson is a graduate of Baruch College, New York, NY with a bachelor’s degree in Business Administration. 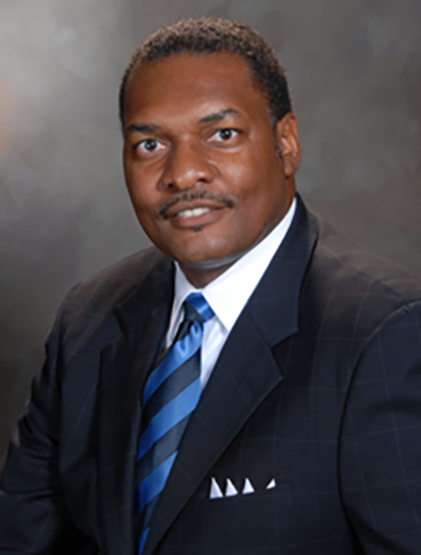 Gregory K. Hart is Managing Director of the Minority and Small Business Development Office (MBD) at the City of Tampa. Gregory’s professional expertise is extensive which includes program management, business development, contract compliance and budget performance evaluation at the city, county and federal level. Mr. Hart received his undergraduate degree in Political Science with a minor in Psychology and a master’s degree in Public Administration with a concentration in city management from the University of North Carolina at Chapel Hill. He is a Tar Heel from the Michael Jordan collegiate era. Gregory’s public service includes: Broward County Commission, Florida as-(Small Business Development Manager); Charlotte, N.C. as-(Special Assistant to Mayor Harvey Gantt and Mayor Sue Myrick); Charlotte, N.C. as-(Business Enterprise Manager-Charlotte Douglas International Airport); Charlotte, N.C. as-(Budget & Evaluation Analyst); Suffolk, Virginia as-(Assistant to the City Manager); Portsmouth, Virginia as-(Law Enforcement Planning Analyst-Police Department); and Richmond, Virginia as-(Virginia Staff Development & Training – State Office). As MBD Manager, Gregory is responsible for implementation of the City of Tampa Equal Business Opportunity Ordinance, which encompasses enterprise-wide compliance and administration of the Small Local Business Enterprise Program (SLBE), the Women/Minority Business Enterprise Program (WMBE) and the Diversity Management Information Program (DMI). 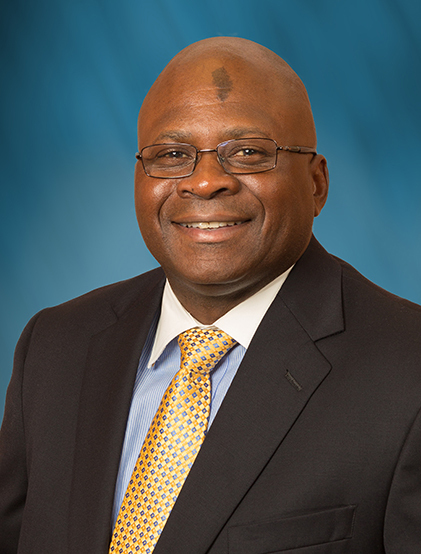 He has served on numerous advisory boards and civic committees during his career including the Board of Directors for a $300 million federal credit union; N.C. Governor’s Workforce Development Task Force; Airport Minority Advisory Council (AMAC); Chamber of Commerce’s Area Council on Public Policy; Hospitality and Tourism Alliance Ex-Officio; Member of Alpha Phi Alpha Fraternity; and the National Forum for Black Public Administrators, Charlotte Chapter President. Gregory was born at Fort Jackson in Columbia, South Carolina, which, growing up a military brat, afforded him the opportunity to live across the United States and Europe. He has three children: Lauren (Pediatric Assistant), Marcus (Duke Energy Project Mgr. and Ret. Sgt. U.S. Marine Corps.) and Christian (4th yr. Medical School – The University of North Carolina School of Dental Medicine) as well as four adorable grandchildren (two girls and two boys). Thomas Huggins, III, is president of Ariel Business Group, Inc., a business and management consulting firm specializing in diversity and inclusion compliance, program management and project support, community engagement and public involvement. 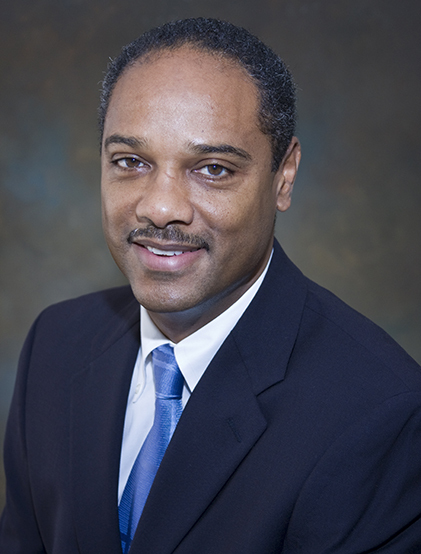 Mr. Huggins has more than 25 years’ experience in the areas of business and finance. Upon graduating from the College of Charleston with a bachelor’s degree in Business and Finance, he became Assistant Vice President for Community Federal Savings and Loan in Tampa. Upon leaving the banking industry, Mr. Huggins worked as Senior Consultant and Project Manager for Boone, Young and Associates and Laventhol and Horwath, CPAs. Mr. Huggins founded Ariel Business Group in 1996 and has served as its president for the past 22 years, during which the firm has provided services to numerous government agencies, contractors and engineering firms. Specifically, Ariel has worked with Florida Department of Transportation, US Department of Commerce, Tampa Port Authority, and Tampa Hillsborough Expressway Authority as SBE Consultant for the $300M Reversible Elevated Lanes project, Tampa Sports Authority, Hillsborough County and State of Florida. Ariel currently serves as WMBE Outreach and Compliance Consultant for Austin Commercial for the $543 million TIA ConRac and APM Project. Additionally, ABG is also sub-consultant with Florida Department of Transportation (FDOT) Disadvantaged Business Enterprise (DBE) Specialized Development Program (SDP) which is administered through a partnership between the Florida State Minority Supplier Development Council (FSMSDC) and Ariel Business Group and is specifically focused on assisting prime contractors with maximizing DBE utilization on FDOT Projects over $50 million. Currently, the SDP program is assigned to more than 45 projects totaling $10 billion. In addition, Ariel was selected by Hillsborough County to develop, coordinate and facilitate the Hillsborough County Small Contractor Development Program. Ariel Business Group has worked with numerous contractors, developers and engineering firms on diverse projects including Skanska; Beck; Hardin/DPR on several Aviation projects; multi-family development projects with Clark Construction and Michaels Development; Tampa Housing Authority – Belmont Heights Estate; Norstar Development – Pinellas County Housing Authority – Senior Housing Project and Blue Sky Development – Duval Park Project; Manhattan and Turner Construction on Sports Facilities. 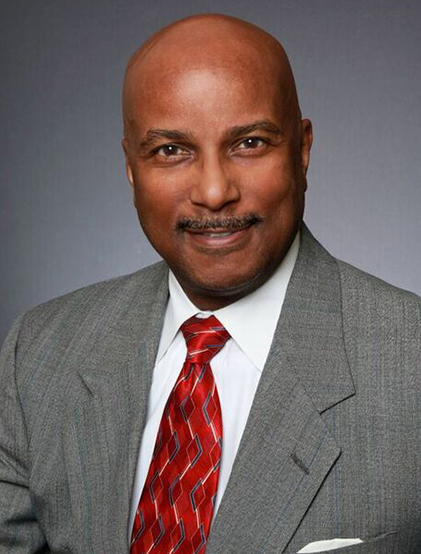 Mr. Huggins is recognized as an expert in minority business development and is often sought as a technical expert. He has also been featured on the cover of the Maddux Report, selected as a Minority Businessperson of the Year finalist by the Tampa Bay Business Journal and named Minority Business Advocate of the Year by the MED Week Committee. Irene Hurst is the director of the MBA and Executive MBA programs in the Muma College of Business at the University of South Florida (USF). 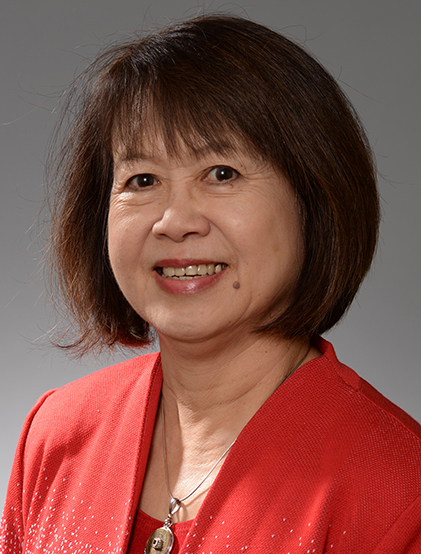 Previously, she served as the director of USF’s Small Business Development Center for more than 11 years. A former small business columnist for the Maddux Report, Irene started the Women Executive Forum more than ten years ago, which serves to give female business owners the opportunity to lend support to one another. In 2006, she was named Business Woman of the Year by the Indo‐US Chamber of Commerce of Tampa Bay and in 1997, she was presented with the Woman of Distinction award by Soroptimist International of the Americas. Irene serves on the Small Business of The Year committee for the Greater Tampa Chamber of Commerce and on the board of directors for several other organizations including as the Treasurer and Director for the Minority Enterprise Development Corporation of Tampa Bay; past president and current member of the board of directors for the Asian-American Chambers of Commerce of Tampa Bay; president of the Asian-American Chambers of Commerce of Tampa Bay Foundation, Inc.; and board of directors for Sunshine Economic Development Corporation, Inc.
She earned her MBA from USF and has a bachelor’s degree in psychology from the University of Indonesia. 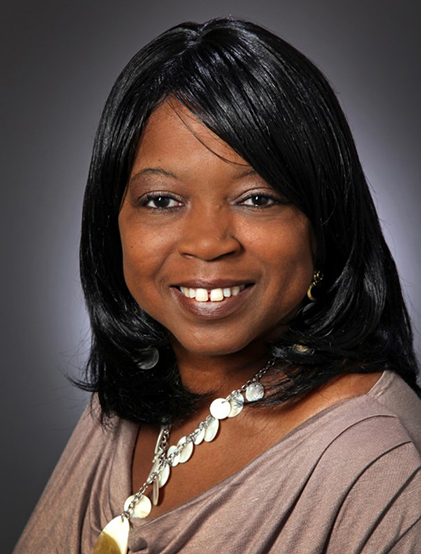 Dr. Cynthia Johnson started with Pinellas County Economic Development in 2000 and was appointed Senior Manager in 2001 where she continues manages the department’s entrepreneurial and small business assistance and development initiatives. As an economic development practitioner, trainer, mentor and educator, Cynthia has supported hundreds of individuals with the creation, retention, and expansion of their businesses. Following her entrepreneurial instincts, she established her own education consulting firm in the fall of 2008. Cynthia’s career began in Miami with the Broward County School District as an instructor. She later transitioned into Educational Leadership with the School District of Pinellas County where she developed curriculum, managed discipline and built relationships with community leaders and local business partners. Her innovative leadership style led to the development and management of the Florida SBDC at Pinellas County Economic Development in 2010. As the Center Director for the SBDC, she specializes in business and strategic planning, entrepreneurial development, business resilience, finance and small business innovation research initiatives. She has more than 17 years of experience in economic development and over 25 years in training and development. Cynthia is a graduate of Miami’s Florida Memorial University with a B.S. in Education and holds a Doctorate in Educational Leadership and Organization from Nova Southeastern University in Ft. Lauderdale. Ken Jones is an Economic Development Manager within the Hillsborough County Government’s Economic Development Department where he focuses on workforce development strategies. He is a military veteran (U.S. Air Force) and has more than 20 years of experience in economic development and corporate executive leadership. In his current role, he works with educational and workforce development partners such as Hillsborough County Public Schools, Hillsborough Community College and CareerSource Tampa Bay, to develop effective and sustainable solutions to produce skilled workers for Hillsborough County employers. Prior to his current job, Ken served as the executive director of a faith-based, non-profit organization, owned his own business and was an economic development coordinator for a municipal government. His business ownership included a management consulting firm providing strategic counsel, organizational and management expertise to business owners and a manufacturing and wholesale distribution company providing fishing tackle and accessories. Ken earned an Associate of Applied Science degree in Fuels System Maintenance from Community College of the Air Force, a bachelor’s degree in Business from the University of Redlands in California and an MBA from the University of Florida. 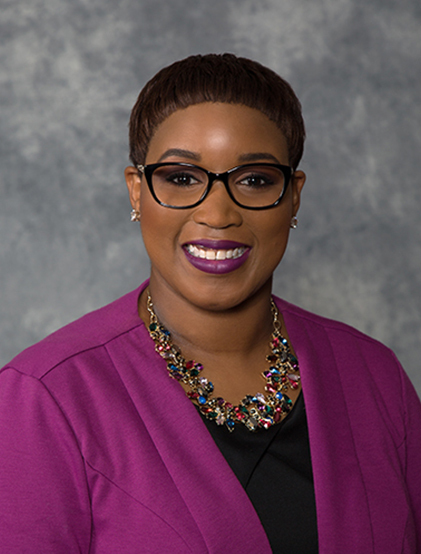 Machelle Maner is currently Vice President of Community Development for Wells Fargo and as Senior Community Development Officer, she manages the 11-county West Florida region. Machelle focuses on the strategic development of public/private partnerships and identifies programs available to expand lending opportunities for affordable housing and small businesses as well as for community and economic development opportunities. In addition, she is also responsible for investments in non-profit organizations that focus on housing, small business and economic revitalization. Machelle has been in the financial services industry for more than 25 years with most of that time being within the Tampa Bay community. She has held positions in the consumer, commercial, marketing and commercial banking divisions and was promoted to vice president in 1996. Since 1994, Machelle has specialized in community programs with an emphasis on establishing community, housing and business partnerships in and around West Florida. Originally from Savannah, Georgia, she is a graduate of Savannah State University where she majored in Marketing and Business Management. Machelle is very active in fulfilling her passion of serving in the community and encouraging families and individuals. Her priorities are clear – God, family, then everything else. For over a decade, LaKendria Robinson has worked and volunteered for organizations that helps underserved communities build sustainable lives. As the first Director of Minority Business Accelerator & Economic Inclusion for the Greater Tampa Chamber of Commerce, LaKendria currently assists Black and Hispanic business owners identify and overcome growth barriers, which results in them increasing their capacity, creating jobs, and building wealth. LaKendria has a Bachelor’s degree in Political Science and Communications from The Florida State University (Go Noles!) and a master’s degree in Organizational Management & Leadership from Ashford University. When she is not working, LaKendria spends her time reading, understanding current events, exploring all the wonderful things Tampa has to offer, and chasing after her three-year-old daughter, Skylar! As Regional Director of the Florida Small Business Development Center (SBDC) at the University of South Florida, Eileen Rodríguez is responsible for policy development, strategic planning, human resources management and the administrative oversight of a $3.1 million budget. She serves as the Principal Investigator for the SBA grant that funds the Center and is directly responsible for ensuring that all federal grant and cost-sharing protocols are adhered to and that work is being done within the prescribed budget. The Center maintains partnerships with local and state businesses and institutions, government offices and other organizations and much of her work focuses on developing outreach initiatives to the business community while also attracting additional funding for the program. These activities play a central role in developing partnerships between USF and the larger Tampa Bay community; partnerships that in turn support the Center’s ability to develop extended technical services for the small business community. 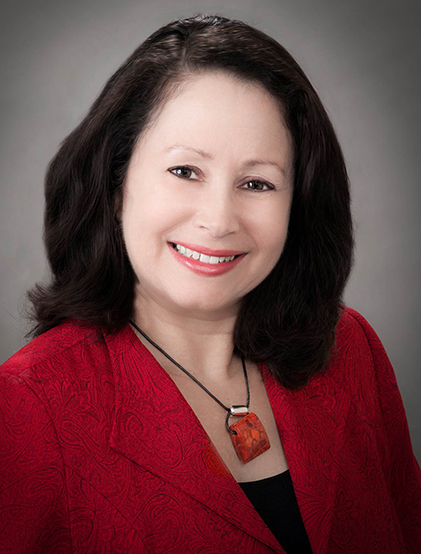 Eileen began working with the Florida SBDC at USF in 1997 and provided one-on-one confidential consulting while also teaching English and Spanish seminars focused on starting a small business, international trade and women and minority certification. Previously, she owned her own business for four years. 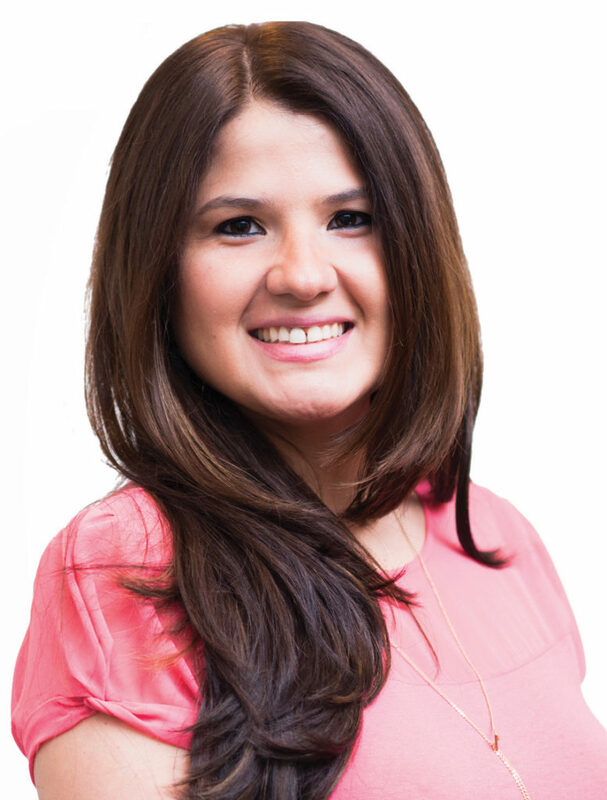 Eileen earned her bachelor’s degree from the University of Puerto Rico and an M.S. and MBA from the University of South Florida. 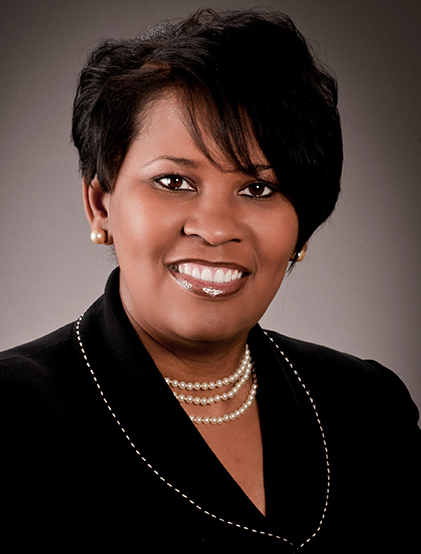 She is active in several organizations including the National Minority Supplier’s Development Council, Minority Enterprise Development Corporation of Tampa Bay, Tampa Bay Women in International Trade, Fifth Third Bank’s Florida Community Advisory Forum and the National Association of Small Business International Trade Educators. She is also fluent in Spanish. 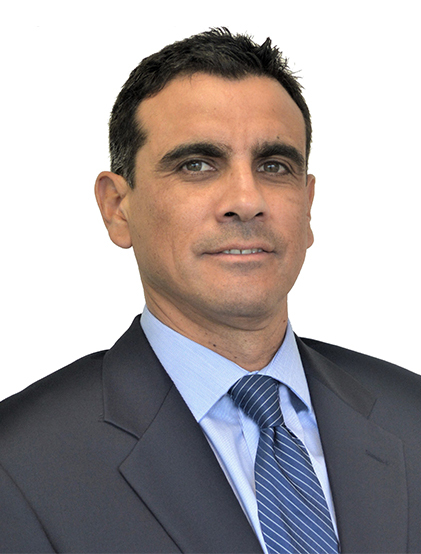 Fabian Yépez became the Regional Vice President of Prospera for the West Coast of Florida in June 2016. Prospera is a non-profit, economic development organization that provides bilingual assistance to Hispanic entrepreneurs who wish to establish or grow their businesses in Florida. A past business owner himself, Fabian is a Multicultural Marketing Strategist with over 20 years of experience. With a background in Advertising and Marketing, he developed proprietary strategies that helped companies here and abroad to effectively connect with the diverse Hispanic market. Fabian Yépez es el Vicepresidente Regional de Prospera para la Costa Oeste de la Florida. Prospera es una organización de desarrollo económico sin fines de lucro que provee asistencia bilingüe a empresarios hispanos que desean establecer o hacer crecer sus negocios en la Florida y en Carolina del Norte. Anteriormente propietario de negocios, Fabian es un empresario especializado en estrategia de mercadeo multicultural, con más de 20 años de experiencia en publicidad y mercadeo. A través de estrategias propias, llevó a empresas aquí y en el extranjero a conectarse efectivamente con el diverso mercado hispano.